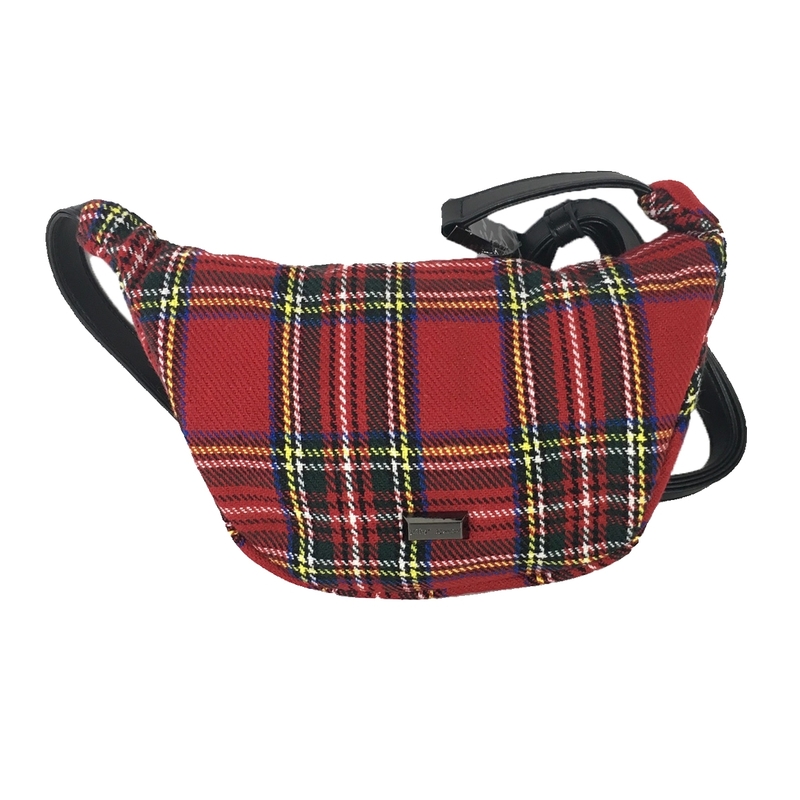 The fanny pack is back. 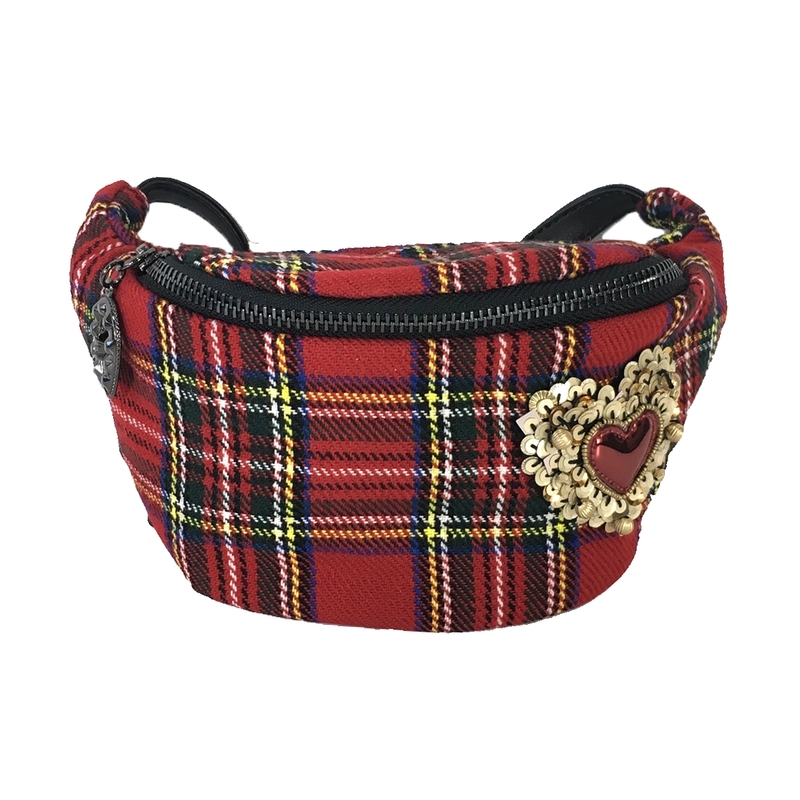 Strap Betsey Johnson Get Waisted beauty around your waist or sling it over your shoulder with all your essentials inside, like your iPhone plus, a small wallet and keys. 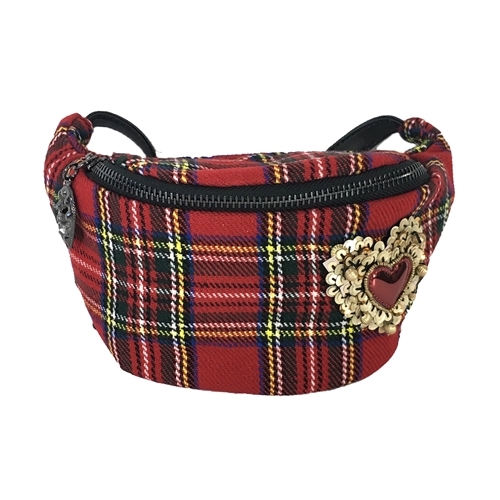 Fanny pack belt bag in plaid canvas trimmed in vegan leather. Front heart applique. Signature logo plaque at back. 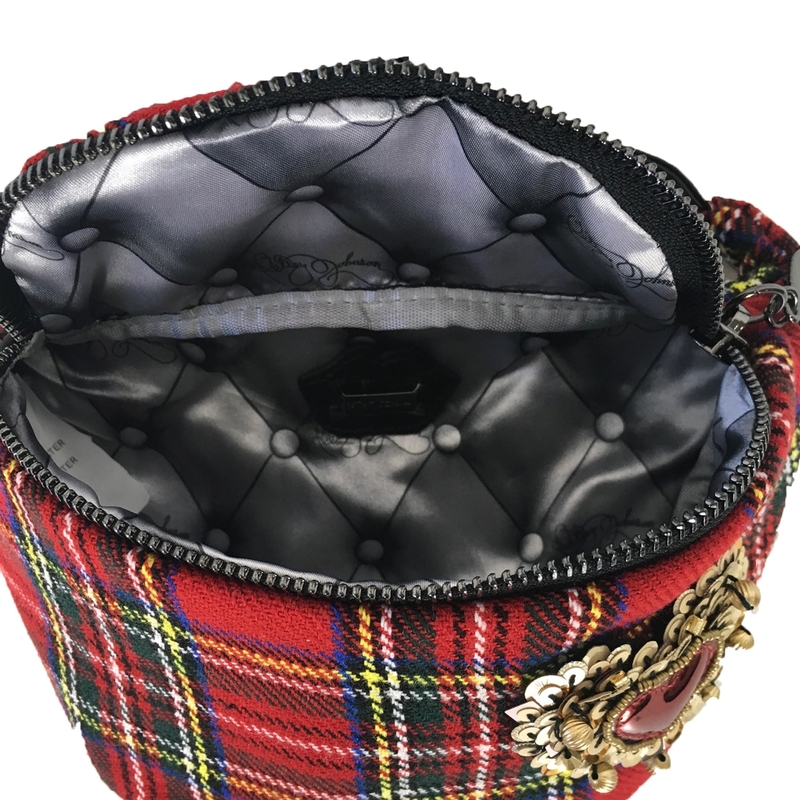 Belt with Press buckle closure. Adjustable to 37.5"